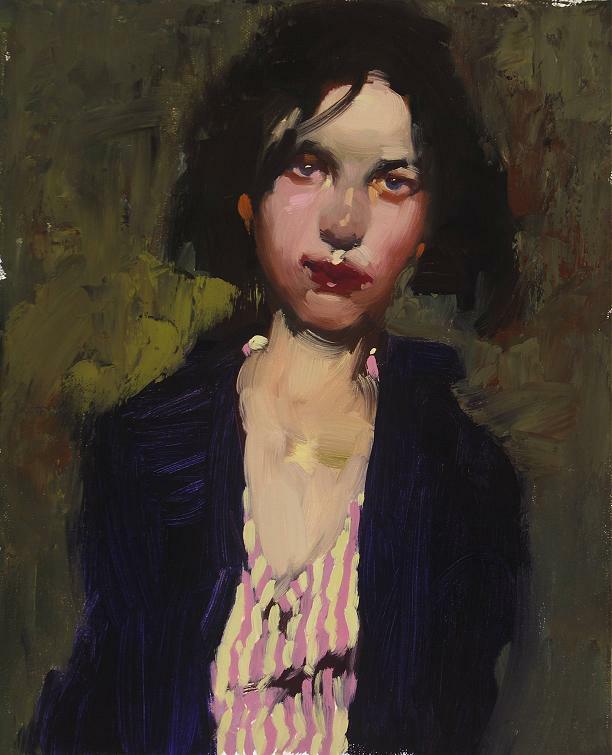 ABOVE: Milt Kobayashi, Bessie’s Striped Shirt, oil on canvas, 12 x 14 inches. ABOVE: Milt Kobayashi, Loose Lips, oil on canvas, 10 x 12 inches. Notice the sizes of those two canvases. They’re tiny! But what they lack in size they more than make up for with their psychological acuity, sensitive design, painterly verve, and sheer presence. 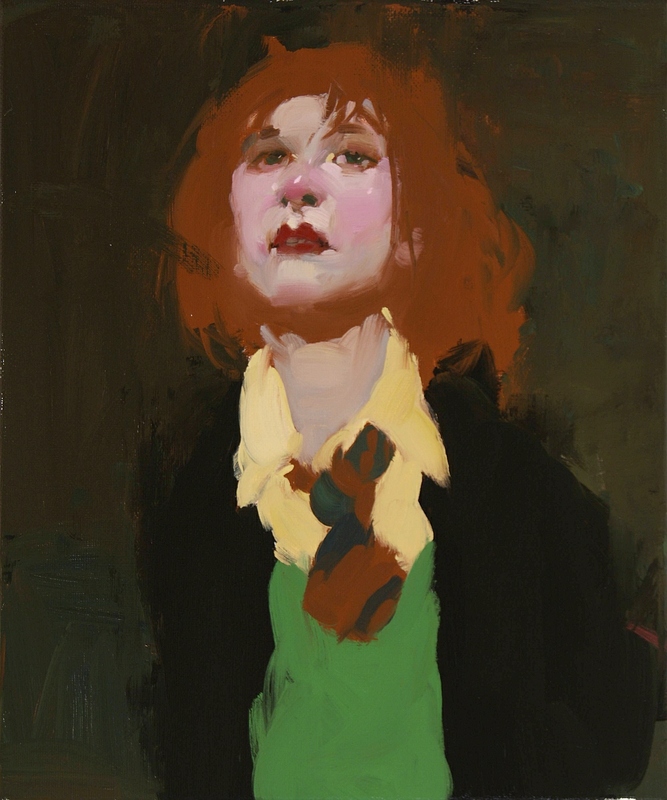 In 2004, commercial illustrator turned fine artist and art teacher Milt Kobayashi gave a workshop in Scottsdale, Arizona, and allowed the organizers to photograph the five paintings he produced as demonstrations and post them on the Web. Here are the links: one (high res. ), two (high res. ), three (includes step-by-step photos; high res. ), four (high res. ), and five (high res. ).